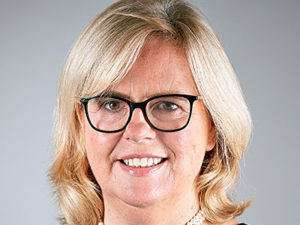 Previously Allen & Overy’s top litigator, Nicola Dagg joined Kirkland & Ellis just six weeks ago. Dagg’s appointment is a new direction for the US firm, breaking into the European patent arena. But, with the size and profitability of the US patent market creating less impetus to expand eastwards, most US firms have not left their mark on Europe. Will this change with the arrival of Kirkland? Just the beginning? 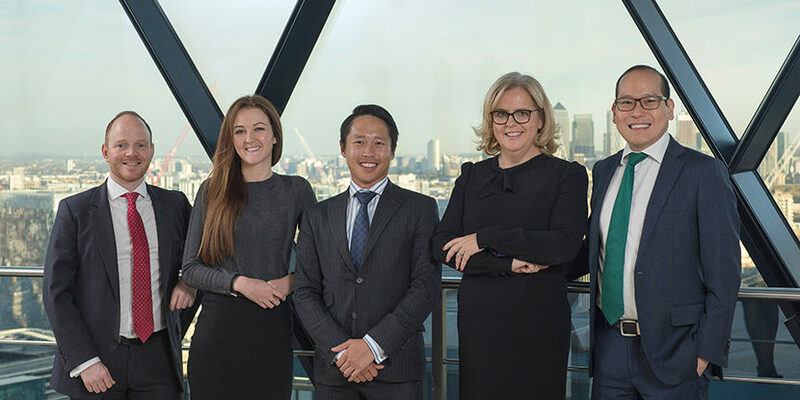 Nicola Dagg (second right) and her team (L-R) Steven Baldwin, Katie Coltart, Daniel Lim and Jin Ooi comprise Kirkland & Ellis’ new London office patent contingent, situated in the Square Mile’s famous Gherkin. Coltart and Lim were made partner on moving to Kirkland; two further associates, Baldwin and Ooi, came in the widely-publicised move from Magic Circle law firm Allen & Overy. However, whether the London office is part of a broad European expansion strategy by Kirkland remains to be seen. US patent practices have it tough in Europe. Whereas their M&A colleagues make significant inroads, for leading US patent firms growth has been haphazard. Instead, it is European firms giving the impetus for transatlantic litigation teams. The merger that formed Hogan Lovells meant one of Europe’s leading practices could build on its client relations in the US. The imminent merger of Allen & Overy with West Coast firm O’Melveny & Myers promises a similar development. In the other direction there are only a few exceptions. In Germany, Quinn Emanuel Urquhart & Sullivan is among the market leaders. 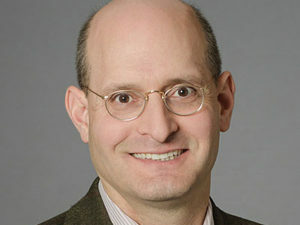 In London Wilmer Hale, which enjoys a strong technology practice in its East Coast offices, gained from Freshfields one of the capital’s best known patent litigators. However, initial success in recruitment is often followed by an inability to cement these teams into a worldwide practice. As a result, US firms have never really challenged the European market leaders. The entry of Kirkland & Ellis into the London market is therefore significant. JUVE Patent spoke exclusively to Nicola Dagg and Greg Arovas, who leads Kirkland’s global IP practice, about the firm’s plans to explore the European litigation market. Juve: With Kirkland best known in Europe for its transactional practice rather than litigation, what is behind the move into litigation work? Arovas: Litigation from the very beginning has been one of the pillars of the firm. IP and primarily patent litigation itself as a separate practice has been with the firm a long time, but I’d say the modern incarnation of the intellectual property group goes back to the 1970s, particularly starting in 1983 with the creation of the Federal Circuit, the Court of Appeals court for all patent appeals. Arovas: If you look at the development of the practice over the years, there is focus on being involved in the most complex and high-profile matters, but not necessarily trying to do everything on those cases. But over time, as we’ve seen the globalisation of clients, we’ve also seen the globalisation of legal disputes. The first phase was developing strategic relationships with firms around the world, but then the opportunity came to team up with one of the top practices in the UK and combine that with what we have in the US. Arovas: You can always say, why not do things earlier? But the trends often take a long time to develop. The first thing that I think drives any of these decisions when you’re talking about expansion is the right people and the right kind of cultural match for the firm. When we decide to do something we’re going to start right at the top of the market so that we feel like we’re giving the absolute premier service and quality to the client. With more US clients litigating in Europe, there’s a big need to open offices in Europe. Is this also a reason? Dagg: This is a point that I don’t want to underestimate – courts are searching in the world of global legal disputes to find ways to resolve disputes in their entirety. They are exploring the ways individual courts can solve worldwide disputes in an efficient manner. The recent decision on SEPs, for example, in the English courts is highly significant. It’s trying to address this commercial need for clients to reach efficient global solutions. So we see an opportunity where a single decision in the UK or US or Germany could have truly global scope. So expanding in London is not driven by US clients? Arovas: Not really. The more important trend is that global clients don’t want to litigate every jurisdiction around the world, it’s not an efficient use of resources and often you can have a bellwether decision in one jurisdiction which will assist the clients in assessing the value of whatever dispute it is that they’re trying to resolve. So Kirkland would have expanded into Europe, UPC or otherwise? Dagg: The UPC wasn’t a dominant factor in this decision. Whether we end up with a UPC which has become a wonderfully functioning court in Europe, or we stick with the patchwork quilt of national patent litigation, that wasn’t the decisive factor as regards to Kirkland moving into patent work in London. Being a part of the international Kirkland practice sets us up to offer clients the best strategies on a global scale – in the US, UK and, with the help of our colleagues at top local firms with whom we regularly work, throughout Europe. Is Kirkland preparing at all for a potential UPC? Dagg: In every opinion that we’re giving on a serious patent matter right now, there’s a piece built in on the UPC and how the tactics might play out, or what the case strategy should be once the UPC is up and running. But likewise there’s an alternative strategy. And that’s the reality of life, day in day out, at the moment. And if the UK can’t be a member of the UPC? Arovas: As I mentioned before, there are many ways you can serve the client. You can do it with one integrated team under one roof, or you can do it by collaborating. We’ll see how the market develops. Dagg: It’s a joy to work alongside leading German patent firms, and there’s no reason why that couldn’t continue. But also a lot of us are qualified in other European jurisdictions and Kirkland has an office in Munich so from a strict rule perspective, there’s nothing to stop us from being there as the advocates in the UPC. Why is Kirkland a little slower to make these strategic decisions? Arovas: You just need all the right forces to come together at the right time. You have to have the client need, the right people who are interested and the economics all come together. What is it about Kirkland – either in the history of the development of your patent litigation practice or the people you now have onboard in London – that will make a difference in the market? Arovas: Why do some combinations or some expansions work, and others not? There probably are no two people who will give you the exact same answer because it’s less of a science than an art. From my perspective, it has a lot to do with different firm cultures. Kirkland is not a firm that’s overly managed. It’s a firm that allows people to pursue what’s most interesting to them and gives the individual lawyers a lot of professional freedom. Dagg: Even before I even got here, pitch opportunities were coming in from Kirkland’s existing client base. This is the first two months for me at Kirkland and they continue to roll in. That is just hugely exciting. What are the main fields for patent disputes in the future, from the US and European perspective? Arovas: What produces a lot of patent disputes is when you have companies in different industries enter each other’s markets. That creates all sorts of opportunities. You also have regulatory-driven growth in litigation, for example in biosimilars. That can create an explosion of litigation. Dagg: There is a lot of convergence of technology in the life sciences area. What we’re seeing are these clients who traditionally have had white pill products – now they’ve got biologics and they also are availing themselves of all the data that’s available from AI and bioinformatics. It’s absolutely dripping over with patent issues. And frankly, the constraints on healthcare budgets are driving a lot of patent litigation by fuelling the demand, for example, for cheaper biologic products or getting vaccines to patients more quickly. What else has Kirkland identified as an interesting development? Dagg: We are also following with great interest what’s happening with patents in terms of payment methods. What might have traditionally been financial institution clients seem genuinely worried about how the IP space is going to play out in that area. And finally blockchain payment is on the horizon. They’re all very exciting areas. How important is it for a continental European team to join Kirkland? Arovas: There are many ways a firm can serve its clients. You can do it with one integrated team under one roof, or you can do it by collaborating. Both models can work, so we’ll see how the market develops. I don’t think it’s a strategy that we can say must go one way or the other at this point. 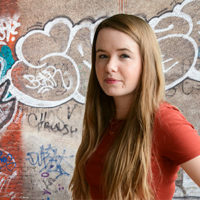 This interview was conducted by Amy Sandys, Aled Griffiths and Mathieu Klos.